Volunteer Ireland & Carlow Volunteer Centre held a Focus Group in the Woodford Dolmen Hotel on January 28th to discuss the National Volunteering Strategy. With over 30 people in attendance, a very informative and productive day was had. 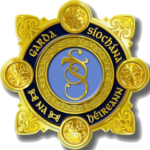 Carlow Volunteer Centre will be holding Garda Vetting Training on February 26th ,11:00am-1:00pm,in our office.This Training is now compulsory for any groups registering to avail of CVC Garda Vetting Service. Please call Natasha on 059 917 3033 or email natasha@volunteercarlow.ie to book a place or see alternative dates for training.